The following article was written by Lisa Pellegrene, and was originally published on Patch.com on January 28, 2019. Landscape, urban exploration, locomotive, animal and nature photographer Thomas Slatin is now featured on iStock by Getty Images. Thomas W.P. Slatin, known for his urban exploration, nature and locomotive photography is now a contributor for iStock by Getty Images. His work is available on iStock’s website for licensing and utilization by entrepreneurs, designers and all who would like to appreciate and benefit from utilizing his stunning photography work. The photographs available on iStock from Slatin’s collection include images entitled “Winter Fog Over Indian Lake,” “Fiddlehead,” “Only Angels Get a Better View,” “Peacock,” “Tree in a Heavy Fog,” “You Came Back and I Was Gone,” “Golden Leaf on Hosta,” “Raindrops on Hosta,” “Cluster of Ferns,” “From Across the Miles,” “Monarch Butterfly,” “Fog on the Lake,” “Blue and Gold Macaw,” “Shoreline,” and “I Can Go With the Flow,” with more expected to be available throughout the month to iStock to Getty Images subscribers and most anyone who chooses to peruse the website to find beautiful imagery for their use. Thomas Slatin’s iStock page which features his photography may be found at istockphoto.com/photos/Thomas-slatin. Slatin includes both black and white and color photography in his online portfolios. He photographs images through the use of film and digital photography. His preferred camera for digital photography is the Canon 5D Mark IV. He is highly experienced with film photography, learning at a young age to a certain extent from his father, the late Dr. Harvey L. Slatin to produce beautiful photography in multiple formats through the use of film. 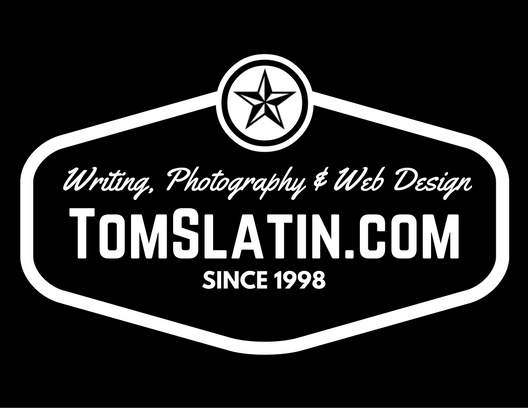 The award winning blog and photography portfolio of Thomas Slatin is available at www.tomslatin.com. He received recognition as DreamHost’s “Dreamiest blog of the year” in 2016. His writing, much similar to his photography, due to the fact that it takes on a journalistic style of its own,” according to his industry peers. Slatin states, “much of the photographs I take are from a perspective to not only document images, but to preserve what I find to be beautiful and interesting.” Slatin is a social media influencer. His social media following grew in part due to his unique style and work over the years to amass nearly a quarter of a million Instagram followers, who simply enjoy keeping up with his photography. Thomas Slatin has a significant following on other platforms such as Twitter, Flickr and 500px.com, as well. Thomas Slatin concludes his first interview of the new year by stating that he is “available to property owners, particularly in the state of New York who are in the process of restoring historical properties or locomotives. Slatin states, “photography can assist with assessment of a property and to document the current state of a property for owners who want to preserve as much of the original history as possible.” Slatin is planning a cross country trip this year to photograph much of the beauty of the United States. Keep up with Thomas Slatin’s photography through his website and online portfolios available on iStock by Getty Images, 500px and Flickr. Online social media users may follow him on Instagram at www.instagram.com/Tomslatin and on Twitter @twps. Congrats on being featured. You have the chops for it. I am not a fan of black photos though but still it all boils down to preference.So you are all good. So far I have loved all your photos. You are a very good photographer. The vivid colours breathe a lot of life into the picture. This is true talent. Congratulations on being in Istock! I am a big fan of your works and hoping that success come through way. Happy that you are getting recognition! He is a great photographer and blogger and he deserves to be on istock. Continue to inspire others with your blog and pictures. Congratulations! I am a fan of your works. Good to know that your photos are on istock now! Congrats for featuring on istock. You sure deserves a place there,not with all these creative and professional photos I see here daily.